The money raised will go towards much needed research undertaken by the Melanoma Institute of Australia. I would like to take the opportunity to thank all the people involved in making the event such a success. 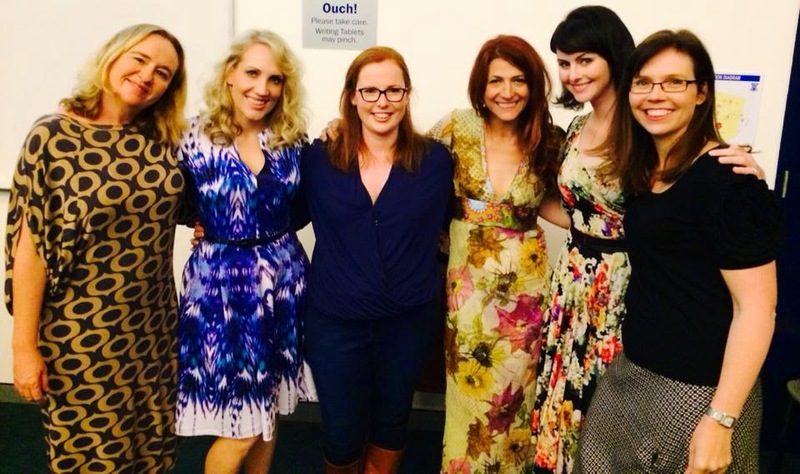 Firstly our fantastic speakers who brought so much joy and laughter to the day – well known Brisbane writers, bloggers and radio announcers, Rebecca Sparrow, Emily Jade O’Keeffe, Sarah Wills, Frances Whiting, and Robin Bailey. Ariane from the Melanoma Institute of Australia who travelled from Sydney for the event. St Aidan’s AGS who provided us with a fantastic venue. The catering was exceptional, from sandwiches, to cakes and even gluten free varieties. Thankyou Eliza’s Tea and Coffee Shop, Brumby’s Sherwood, Leticia Euston, and Harriet Ferrier. All the people that donated prizes – Susie Bennett-Yeo, Regal Cinema Graceville, Milly Dent Designs, Ole Spanish Restaurant, Bill Finlen, Jane Harris (HasaKnapp Children’s Sleepwear), Anuska De Luca (Little Kisses), Ena O’Connor (Crabtree and Evelyn), Julie Rainbow (Clarity Road), Emma Luscombe (Mini Sandcrabs Swimwear), Elizabeth Bloomfield, Tanya Love Photography, and the large number of authors who donated books. And finally, thank you to everyone that attended the event. I hope that you enjoyed yourself and have taken something away from the event. This event was the beginning of something much bigger, and I can’t wait to share this journey with you all!